Over 25 years of consulting experience with energy, agriculture, social services, not-for-profit, telecommunications, environmental sustainability and government agencies. Expertise includes corporate governance, strategic and business planning, project management, performance measurement and organization capacity building. Consulting engineer and project engineer in the pipeline and oil and gas industry. Education includes MBA from Ivey Business School and Bachelor of Engineering Science. Certified Management Consultant and Professional Engineer. Led market assessment and strategy development efforts and supported implementation efforts that enabled many organizations, in numerous sectors, to achieve desired and successful growth. Sector focus includes oil sands and conventional oil and gas, pipelines, electric power, bulk commodity handling, agriculture and agri-food, social services, and public sector agencies. Conducted governance audits, best practice reviews and board development workshops for numerous, corporate, non-profit and public organizations, enabling these boards to improve their effectiveness while adopting best practices. Worked with management and Boards of numerous non-profit organizations including social service agencies, providing support to strategic and business planning efforts, governance development and leadership coaching activities. 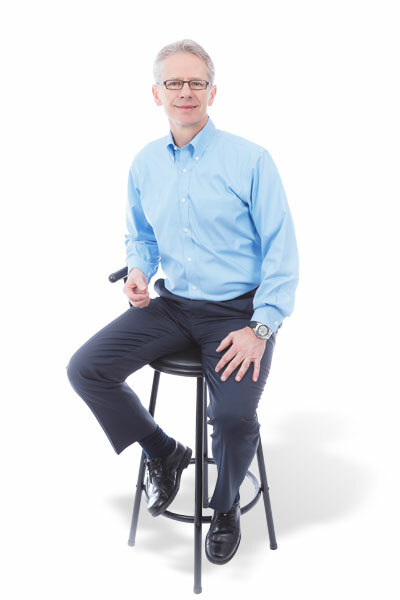 John has over 25 years of business consulting experience. As a Certified Management Consultant (CMC), MBA (Ivey Business School), and Professional Engineer (Electrical), his expertise and experience have enabled a wide range of organizations to solve business problems and achieve desired growth. John helps clients by leveraging his experience, applying methodologies that fit the client’s unique requirements, and maintaining a clear focus on desired outcomes. Working with Board of Directors, executive management and mid-level management teams, John brings objectivity and a logical approach to every assignment. He helps teams focus on what matters. His work in corporate governance, strategic and business planning, performance measurement and organization capacity building have resulted in a solid reputation for getting the job done. John has assisted national and international organizations adapt to changing competitive and regulatory environments. He is comfortable dealing with and connecting technical, strategic and business issues and enabling client teams to view and manage their opportunities and challenges through a consistent, effective framework. In his spare time, John enjoys soccer, hiking, biking and sailing.